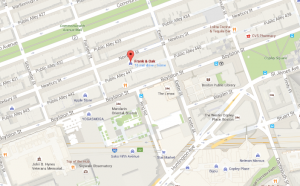 Boston’s Premier Men’s Boutique Gears Up for Marathon Monday with Series of Holistic Events Featuring DJ Entertainment, Cuts by Barbershop Lounge, Strength Coach, Life and Wellness Coach, Yoga Class and More! 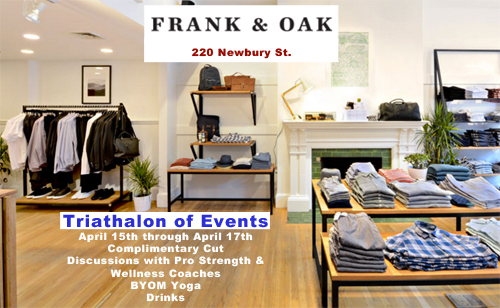 Frank & Oak hosts triad of holistic events Friday, April 15th through Sunday, April 17th in celebration of the 120th Boston Marathon. Whether you’re in town to run the marathon, support a runner or just strolling down Newbury, Frank & Oak invites you to stop in this weekend for entertainment, education and exercise. 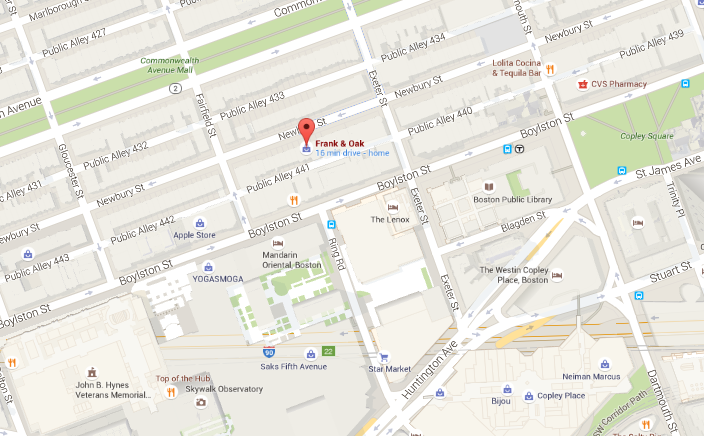 Bostonians and visitors flocking the area for Boston Marathon weekend can swing by Frank & Oak to freshen up with a complimentary cut and unwind with a couple drinks and some good tracks. Pop in on Saturday morning for a performance and endurance discussion and networking session featuring Strength Coach, Chris Carreiro, and Lifestyle and Wellness Coach, Dillan DiGiovanni. And what better way to start your Sunday morning than by saying Namaste? Join Frank & Oak for a BYOM (bring your own mat) yoga class with Lindsey O’neill. There’s no better time than Marathon weekend to relax, recharge and rebalance! Frank & Oak Boston is the first of the brands’ American locations, housed inside a traditional brownstone and located on Newbury Street, one of Beantown’s busiest shopping areas. The company’s mission is simple: help a generation of men dress and live well. Shop the latest collections in store and keep an eye out for regular local artist showcases and community events. For additional information, please visit https://www.frankandoak.com/shop.